These functional replica locks with keys are darkened and weathered to replicate the originals used during the Middle Ages. Are you looking for handcuffs and locks for you medieval dungeon? We have the medieval locks and handcuffs that will do the trick. 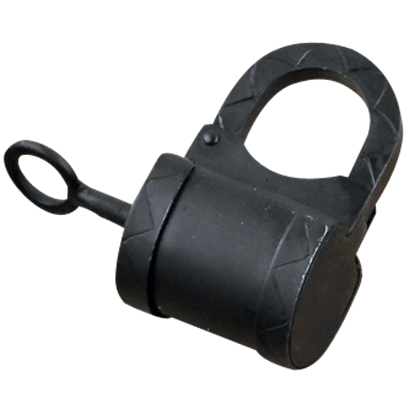 Our medieval handcuffs, padlocks, shackles, and dungeon locks are fully functional and come with keys. 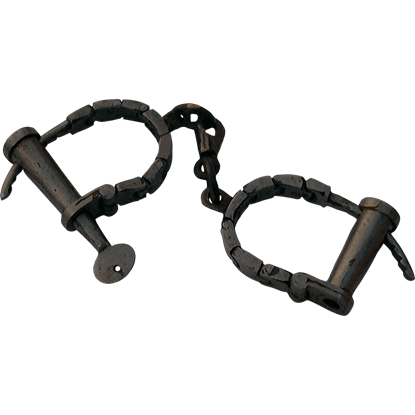 We also have prison ball and chain leg shackles that are modeled after those used in the Clink Prison of London England. Even prisons and jails want to have their property returned, especially if inmates are returned with them. Luckily, these Adjustable Alcatraz Handcuffs come with a stamped label, so there is no questioning where they came from. Alcatraz might be one of the most famous prisons ever known, thanks in part to its high level of security. 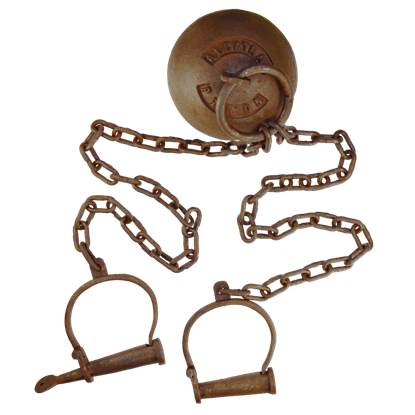 It is very possible that these Adjustable Antique Alcatraz Leg and Hand Cuffs helped to contribute to that impressive security. The benefit of putting a stamp on dungeon ware is that if anyone finds it, you immediately know where they belong. 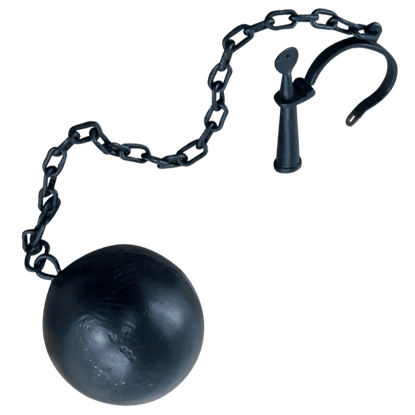 This Alcatraz Prison Iron Ball and Chain is a classic example of how they detained prisoners in history. Once upon a time, the chastity belt was the tool of choice when it came to protecting ones innocence and virtue. 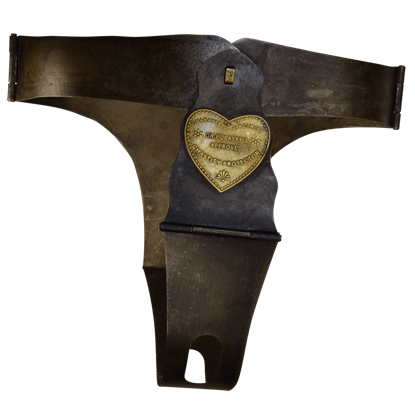 Now, you can own one of these intriguing pieces, in the form of this Antique Chastity Belt with Lock and Keys! 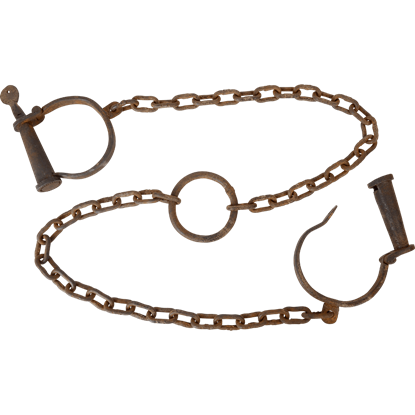 Keep your prisoner from escaping your custody by restraining them with these authentic replica leg irons! The Antiqued Dungeon Leg Cuffs feature a historical look with their oxidized metal finish and antique fetter design. There is no prison or dungeon accent quite like the old ball and chain. 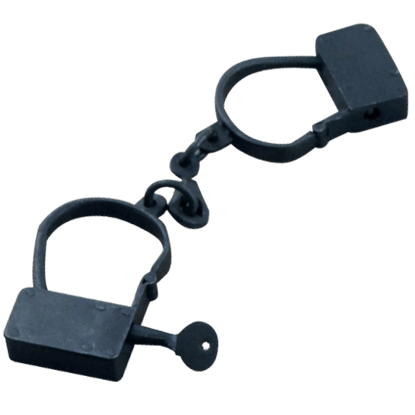 Used to restrict and limit a prisoners movements, this Ball and Chain Single Cuff recreates the design quite well, down even to the heavy weight secured at the end. 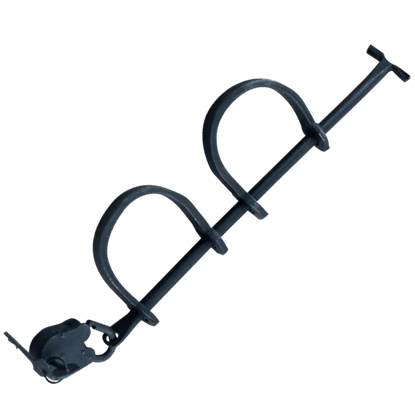 The benefit of restraints like these Bar Cuffs with Padlock is that they afford greater control of a prisoner, by restricting their movement even more. Properly secured, these cuffs can all but prevent a prisoner from using their hands. When you want to a secure a prisoner, the first thing you do is secure their hands. 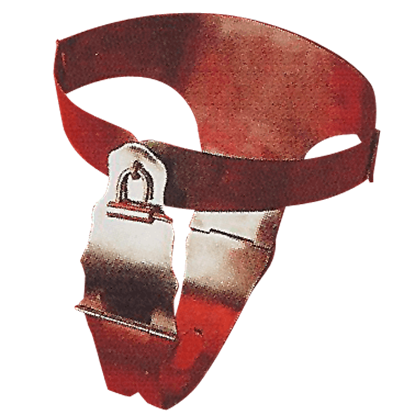 Throughout history, restraints like these Box Style Dungeon Cuffs were used for binding a prisoner, to ensure their compliancy with any dungeon policies. Nothing says keep out quite like a lock. This Carved Prison Lock possesses all the hallmarks of a medieval security device, including finish, which ensures that it will serve you well as a way to secure your treasures or prisoners. While they might not have always been known by that name, handcuffs have been around for centuries. These Cast Medieval Dungeon Cuffs are recreations of the ones used in medieval times, making them perfect for dungeon scenes. If you are looking to make a statement, there is no better piece to wear than this Chastity Belt with Lock! Traditionally a chastity belt is worn around the waist and is designed to keep individuals, both male and female, chaste. 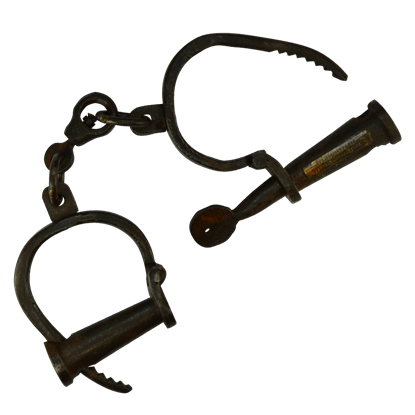 These functional replica handcuffs with key are darkened and weathered to replicate the originals in use during the Middle Ages. Are you looking for handcuffs for you medieval dungeon? These Medieval handcuffs will do the trick.